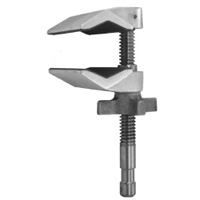 Cardellini Clamp, the industry standard, Mini Cardellini Clamps, clamp accessories, and candlestick style Condor Mount have been making the Grips` job easier for years. Now Key Grips and Camera Assistants can`t live without these products. Click here to view the Cardellini web site.